Amels has launched its latest Tim Heywood-designed Limited Editions 180. 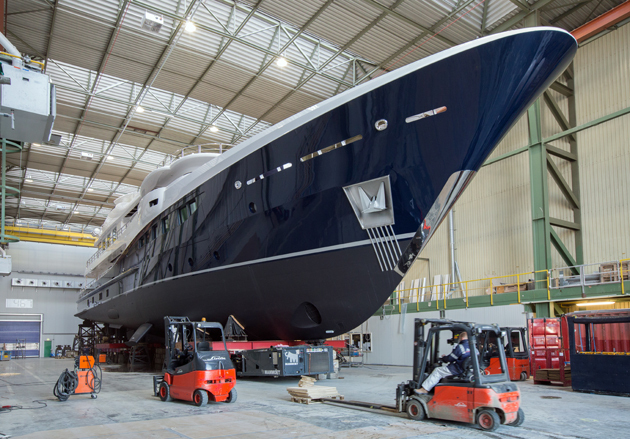 The latest 55-metre 180 – sporting a striking dark blue hull colour – has been launched at Amels’ yard in Vlissingen. 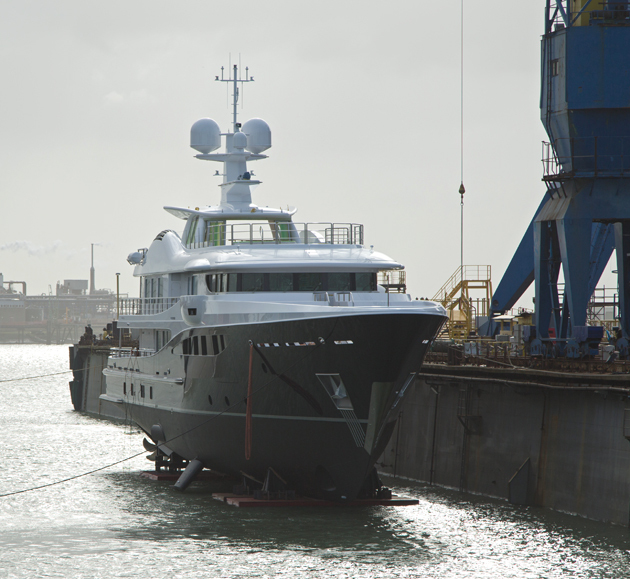 The yacht was transported from the dry dock onto a floating pontoon, and then to a floating dry dock, which submerged. She was launched exactly on schedule. The 700-tonne Tim Heywood design is part of the hugely successful Limited Editions series, a platform that offers owners the potential to customise the interior and enjoy a quicker build time. You can read more about the build of the Amels’ Limited Editions 180 Engelberg, launched in 2013, here.